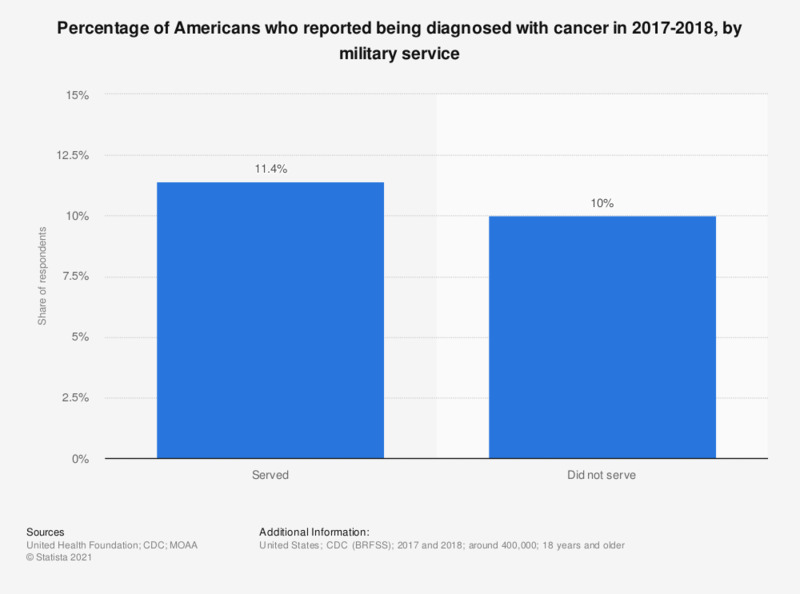 This statistic shows the percentage of those who have served/not served in the U.S. military who reported being told by a health professional that they had some form of cancer, in 2015-2016. It was found that 10.9 percent of those who had served in the U.S. military reported being diagnosed with some form of cancer. Figures represent adults who self-report being told by a health professional that they had some form of cancer.